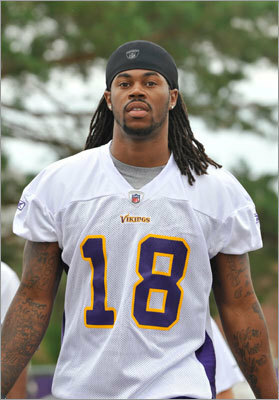 The New England Patriots signed free agent defensive end Marcus Stroud to a two-year contract Tuesday afternoon. Stroud, who was recently cut by the Buffalo Bills, played and struggled in Buffalo's 3-4 defense, which the Bills transitioned to before the 2010 season following Chan Gailey's appointment as the team's head coach. The three-time Pro Bowler has spent the last three years with the Bills, only missing two games in that three-year period. Stroud has always been a solid defensive end, going back to his days with the Jacksonville Jaguars. Now, at 32 years old, Stroud can offer decent pass-rushing abilities, and can fit in New England's defense as a nice rotation player on the defensive line. Playing on a very bad defensive team, Stroud finished the 2010 season with 49 tackles, three sacks and one forced fumble. There have been no reports on how much Stroud's contract is worth. New England Patriots offensive linemen Stephen Neal announced his retirement Wednesday. The Patriots starting right guard pondered on retirement last season, and finally made his decision this year to hang up the cleats. After Neal decided to remain on New England's roster last season, he signed a two-year contract and was set to make $3 million next season. Neal played in eight games for the Patriots this season, and suffered a shoulder injury which resulted in being placed on injured reserve. Dan Connolly filled in for Neal during his absence and be the projected starter entering next season. After a 10-year NFL career, Neal is a three-time Super Bowl Champion, and not to mention a former national wrestling champion at the collegiate level. The New England Patriots tendered restricted free agent BenJarvus Green-Ellis at the second-round level earlier today, in a move which ensures the running back's return in 2011. Originally an undrafted free agent out of Ole Miss, the "Law Firm" burst onto the scene in 2010, ending the year with 1,008 rushing yards as well as finishing second in the NFL in touchdowns scored with 13. He earned the starting job last season and his production has also earned a large raise. The second-round tender will net the fourth-year running back $2 million next season. Of course, that's if the team doesn't seek to extend him to a longer contract, which is highly likely considering his production and aptitude for improvement. Green-Ellis was buried on the Patriots' depth chart coming out of training camp last season, but he proved to be the most reliable and most productive out of a group which consisted of a future Hall of Famer, a first-round pick and two other backs with much more experience than himself. With only Green-Ellis and Danny Woodhead signed to the roster, the winds of change appear to be blowing in Foxboro. The Patriots' backfield will have a new look going forward, with the team nearly guaranteed to bring in another back through the Draft or free agency. Green-Ellis was used predominately in goal-line situations prior to his breakout season. If New England does decide to feature another runner in their offense going forward, Green-Ellis may return to that role. With zero fumbles to his name in 329 career attempts and a 4.2 yards per carry average, the Patriots may need not look any further for their starter though. With the Patriots' disappointing loss to the Jets in the playoffs, it's time to retool for next season in New England. Free agency hasn't officially started yet, but with the possible departures of key players such as Logan Mankins (pictured), Sammy Morris and Kevin Faulk, the Patriots might be in the market for some new veteran talent. Here's a look at some possible free agent targets for the Patriots. 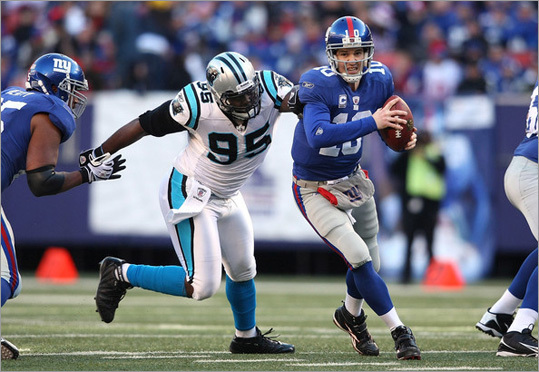 (Of course, there may be an NFL lockout, which would obviously change things). Note that these are targets (except one, Harvey Dahl) that would be available under the current CBA rules. Thomas would provide depth behind BenJarvus Green-Ellis at the running back position. He has been inconsistent throughout his career but has shown enormous talent at times both as running threat and as a receiver. The last two seasons he's averaged 4.8 yards-per-carry as a backup for the New Orleans Saints. He also caught 17 passes for 151 yards (8.9 yards-per-catch). With Kevin Faulk, Sammy Morris and Fred Taylor unlikely to return next season, the 26-year-old Thomas would make some sense. Don't pinch yourself; he actually might be a target. No, he is not a free agent and would have to be either traded or cut by the Bengals. 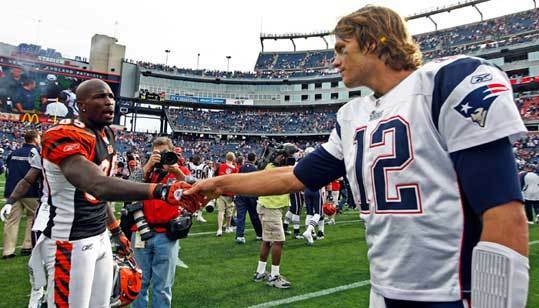 However, Ochocinco has expressed an affinity for Patriots coach Bill Belichick, and vice versa. However, Ochocinco isn't the down field threat that he was in his prime. He only caught four touchdown passes last season and had 67 catches for 831 yards total. Brett Favre's favorite target on the Minnesota Vikings (before being injured for most of of the 2010 season) is dying to test out free agency. He's impressed with his deep threat capabilities, notching 83 catches for 1,312 yards and 8 touchdowns in 2009 (only 17 grabs for 280 yards and 2 TDs in 2010). And at 24, he's still young and can be molded. The 34-year-old Dolphins running back ripped coach Tony Sparano at the end of last season, implying that Sparano did not lead a winning atmosphere in Miami. Williams was a decent back in a putrid offense last season, rushing for 4.2 yards-per-carry for 673 yards and two touchdowns. A motivated Williams could be very useful to partner with Green-Ellis in the backfield. As the guy who replaced Julius Peppers for the Carolina Panthers at defensive end, Johnson didn't exactly lie down on the job. Johnson had 62 tackles and 11.5 sacks on the year -- all career-highs for the 5th-year pro. The only problem is, he's a restricted free agent. But his size (6-2, 275) would be more than welcome. Asomugha is a free agent because of a contract clause that stipulated that his deal would be voided if he participated in fewer plays in 2010 or failed to improve his sack, interception and fumble recovery totals compared to the previous season. 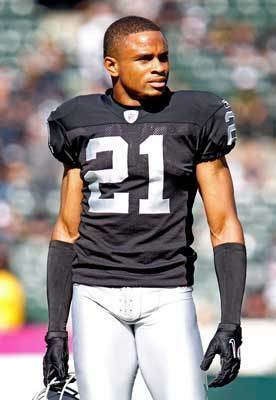 He is one of the best cornerbacks in the league, while New England gave up the third-most passing yards in 2010. Asomugha is one of the top defensive players on the market but will likely command big money, meaning the Patriots likely would not bite. Besides being famous for calling Tom Brady an expletive, he's also famous for being a big-time kick returner in San Diego and a capable cornerback, the latter of which is an identifiable need for the Patriots. Cromartie had 42 tackles and 3 interceptions last year playing opposite of lockdown corner Darrelle Revis. He wouldn't be the most favorable guy for the Patriots, but he would definitely fill a need. Forget the fact that he's played for the hated New York Jets. This run-plugging defensive end fills his role in a manner that reminds us of Vince Wilfork. He tallied only 36 tackles last year and 4.5 sacks in his 12th year. 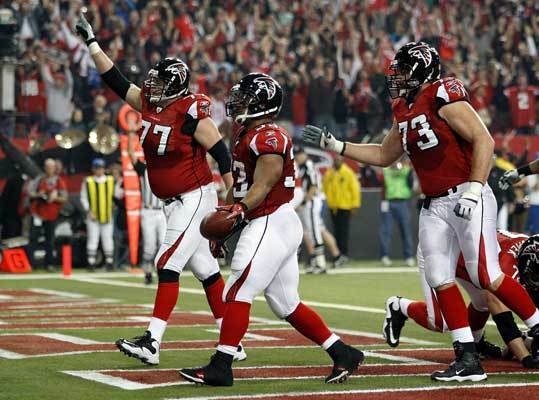 But the veteran lineman has been a stalwart and could help stabilize the young Patriots line. Of course, it depends on the price. Dahl (right) is one of the most physical linemen in the NFL, and with the impending free agency of Logan Mankins, Dahl would be an appealing target for the Patriots if they're willing to pay. Dahl was a big reason Falcons running back Michael Turner was able to rush for 1,371 yards and 12 touchdowns this season. A small caveat here is that Dahl is technically under contract for another season, but under the new CBA he could become a free agent. Kiwanuka is a first time free agent who had a season-ending neck injury last season after Week 3 that still hasn't fully healed. However, he is explosive. In 2009, he had 61 tackles and forced two fumbles. He could come cheaper than other top linebackers because of his injury. The Giants may only offer "Kiwi" a one-year-deal, which means Kiwanuka may be willing to leave for the first team that offers him multiple years. 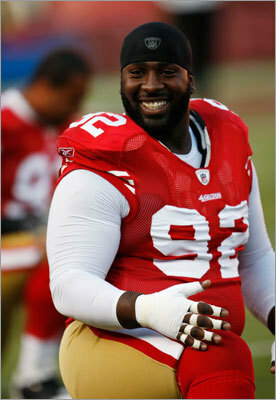 Franklin played the role of run-stopper for the San Francisco 49ers, similar to the role in which Vince Wilfork plays now for the Patriots. While it's been noted that Franklin would like to re-sign with the 49ers, he will definitely make top tier money on the market due to his veteran experience at nose tackle and with the abundance of teams switching to the 3-4 defense. He totaled 38 tackles last season without any sacks. The New England Patriots tendered a contract to restricted free agent running back BenJarvus Green-Ellis on Wednesday. The tender is a second round compensation, in which that the Patriots would receive a second round draft pick in return if another team would sign Green-Ellis. Even with the uncertainty of the current CBA situation, Green-Ellis can negotiate with any team he wants and New England will be able to match any offers the three-year running back receivers. If Green-Ellis does sign a new contract with another franchise, New England will receive a second round pick in compensation. If Green-Ellis does sign the tender, he will earn $2 million for next season. 2010 was a breakout year for the "Law Firm": 1,008 yards, 13 touchdowns and zero fumbles. Green-Ellis will likely be a Patriot next season, unless another team decides to give him an unreal offer. With zero fumbles in his NFL career and none in his collegiate career—and it's even rumored he had never fumbled in high school—Green-Ellis is the perfect compliment running back to quarterback Tom Brady. Next season, the Patriots will have a totally revamped running back group with Danny Woodhead, probably Green-Ellis and possibly a rookie running back from this year's draft. We are two months away from the 2011 NFL Draft and, as usual, there are already several players linked to certain teams according to their value projection and the needs of every franchise. Having two picks in the first round, the New England Patriots have a bigger list of realistic candidates to be taken on April 28th. Wisconsin’s defensive end J.J. Watt goes to Foxboro in every two out of three mock drafts. Cal’s defensive end Cameron Jordan, Missouri’s DE/OLB Aldon Smith and Boston College offensive tackle Anthony Castonzo are also popular picks. And of course, there is one popular pick that will be even more popular once he ends his participation in the NFL Combine: Alabama running back Mark Ingram. I’m sure many are going to jump to the Ingram bandwagon in New England after this Sunday, so let’s talk about some reasons to pick him. Ingram is by far the top running back prospect in this draft. Despite probably being a top-10 player, Ingram is expected to fall in the draft due to teams having more important needs to fill. With a few exceptions, the highest pick he is going in mock drafts is No.15 to the Miami Dolphins. He is very close to being the “full package.” He breaks tackles, shows patience when needed, makes the defenders miss, has good top speed and also contributes in the passing game as a receiver and blocker. If he is available at No.17, the Patriots have to take him. The biggest argument against taking Ingram is that New England has other holes to cover before taking a running back. The Patriots really need help at outside linebacker and defensive end (although Ty Warren’s return should help) and another offensive lineman would be useful in case Logan Mankins refuses to sign his franchise tender. But Bill Belichick can address those needs with the No.28 pick and two more in the second round, including No.33. He also has two third-round picks that he can use in a trade in case he needs to jump a few spots to secure a player he likes. New England can find a defensive end at the end of the first round. They can get a good offensive lineman in the second round. They won’t get another Mark Ingram. Mark Ingram could become a big headache for the Patriots if the Dolphins take him at No.15. He is definitely a player you don’t want to face twice a season. Miami’s biggest need is probably running back, so this is a very likely spot for the 2009 Heisman Trophy winner. With so many picks in their pocket, it shouldn’t be difficult for New England to find a trade partner to leapfrog the Dolphins. According to the NFL draft pick value chart that most GMs use, their own third-round pick would be enough to jump from No.17 to the No.14 spot (and they still have the third-round they got from Minnesota for Randy Moss). Many Patriots fans blame Belichick for not taking Clay Matthews when he could, but they forget that for every Clay Matthews there is a Vernon Gholston. As most outside linebacker prospects play defensive end in college, it’s very hard for scouts and coaches to evaluate them. Finding good outside linebackers in the draft is very difficult and Bill Belichick knows it, so he usually avoids taking them with high picks. Getting Florida’s Jermaine Cunningham with a second-round pick was a very unusual move by the man in the hoodie. Although there is never a 100 percent safe pick, Mark Ingram seems much more reliable than any pass rusher New England can take in this spot. New England’s offense will stay as one of the best in the league for a few more seasons. Tom Brady proved in 2010 that he is as focused as ever in football and that he will probably win one or two more MVP awards. And yes, Brady will have all his toys back and upgraded. Wes Welker will be a year-and-a-half removed from his knee injury. Tight ends Rob Gronkowski and Aaron Hernandez had impressive rookie seasons and should improve in their second year. Brandon Tate and Taylor Price have shown promise. But Brady is the only game-changer the Patriots have, and teams like the Jets, Browns and Ravens have proved that he can be stopped. BenJarvus Green-Ellis and Danny Woodhead are a good RB tandem, but they can't take the team on his shoulders if Brady is having a bad day. They are good complements, not much more. Mark Ingram could be that man who forces opposing defensive coordinators to spend extra time game-planning against the Patriots. He has the tools to win a game by himself if the passing attack is not working. ...well, to be honest, Bill Belichick usually puzzles us in the first round, so it's rare to see Patriots fans dancing in the street after hearing "the New England Patriots select".Mark Ingram could be the man.I rest my case. What do you think? Every year around the time the NFL Scouting Combine results start pouring out, everyone suddenly becomes a genius about how the NFL Draft should unfold. Forty times, broad jumps, three-cone drills etc. are all the final memories each team has of a player before draft day. What we forget is that there's a whole aspect of the combine that we don't see, which is the interview and test portion. The knowledge we gain from watching these exercises is merely superficial. It's the old dichotomy between measurables vs. intangibles, best illustrated by Peyton Manning and Ryan Leaf. Both had the physical makeup for an NFL quarterback and could make the throws, but it was the work ethic and personality that drew an enormous gap between the careers of the first and second overall selections. It all comes down to football IQ, or as Pat Kirwan calls it, "FBI." In Kirwan's book, Take Your Eye Off The Ball, he describes why so much import is given to FBI. "[Bill Belichick] knows as well as anyone that ideas alone don't equal victories. It's not what Bill or any other coach knows—it's what the players know. That is why Belichick places such a high priority on finding players who are smart enough to execute the scheme he's running." In order to test for FBI, Belichick runs the players through tests. He talks to them about some specific things that the Patriots do, diagrams it all on a whiteboard and then later asks them to repeat everything they just talked about. Kirwan even outlines specific moves made by the Patriots in the draft in conjunction with what they saw in a player in terms of their football intelligence. "When he went out on his college tour before the 2008 NFL Draft, Belichick ran Jerod Mayo through that classroom drill. Mayo went to the board and repeated everything he'd been told right back to Belichick...Sold: Belichick drafted Mayo with the 10th pick of the first round." There weren't a whole lot of mock drafts projecting Mayo to go in the first round, and those that were had him going later on, but it's safe to say he proved those "experts" wrong with a dominating performance and the 2008 Defensive Rookie of the Year award. Belichick wants players on his team who eat, sleep, live and die for football year-round. He wants football nerds, guys who have not only the physical capacity but also the mental capacity necessary to succeed in his system. Football may be an athletic sport, but it's also a mind game. New England Patriots Fans, What Do We Do If There's a Lockout? What will a fall be like if there are no muskets being fired off into the air? It'd be pretty awful for New England fans. Just imagine an empty Gillette Stadium—not only for away games and bye weeks, but all year long. 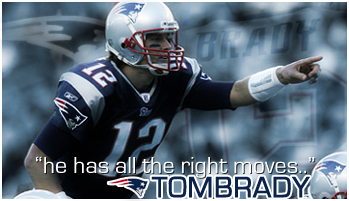 There wouldn't be any magnificent passes being thrown from the arm of Tom Brady. None of those things will happen. None of them—if there's an NFL lockout. If you're a diehard Boston sports fan, what is there to do if there's no football? Once the Boston Red Sox season concludes in either September or October, then it's all eyes on the beloved Patriots. Face it fans: There's a great chance that there won't be football next season. What will fans do all next fall and winter? Well, there are the Boston Celtics and Boston Bruins. But seriously, how exciting can regular season basketball and hockey be compared to Pats games every Sunday? You can't compare the two. You can't forget Boston College football—the only relevant school in the Boston area. But how relevant are they? I know for a fact I can't name more than five players on their roster ever since quarterback Matt Ryan was drafted by the Atlanta Falcons. How can anyone even watch the Eagles right now? The past couple of seasons, they've had a 26-year-old quarterback, Dave Shinskie, leading the team. I'm sorry, no offense to Shinskie, but that doesn't attract any fans. I realize that Shinskie was a former baseball prospect and it's a great story that he's made it to BC to play some football, but the Eagles haven't been good since "Matty Ice" left for the NFL. So, cross off regular season basketball and hockey along with BC football. Now what? Actually, there is the Major League Baseball offseason and the Boston Red Sox "Hot Stove." Fans will now have the chance to follow the Sox offseason like they never had before. But it just isn't the same as football. So, once the Sox finish their season in the fall, what can fans do? They can casually watch the Celtics and Bruins, possibly turn on a BC football game on a Saturday or follow along, a little bit more closely, with the Red Sox offseason. But, in reality, Patriots fans will just mope around and wake up every single Sunday hoping that there will be a game—even though there won't be. If there's no NFL season, New England fans are in for some big trouble. Although a faction of AFC East blog readers have a disdain for New England Patriots quarterback Tom Brady and all of his dashing goodness, the NFL Players Association knows what a powerful weapon he will be for their cause. Other than those envious of Brady's success, it's difficult to begrudge him as a leading man in the NFL. That's why he has agreed to be one of nine lead plaintiffs if the NFL Players Association goes forth with an antitrust lawsuit against the league as expected. Indianapolis Colts quarterback Peyton Manning, New Orleans Saints quarterback Drew Brees and Patriots guard Logan Mankins also would be among the nine plaintiffs. Their involvement in the lawsuit mostly is symbolic. Brady, Manning and Brees have five Super Bowl rings and are highly respected in the league. They've also sold a mountain of jerseys and posters. Mankins doesn't fit their mold, but he is viewed sympathetically as a star player who has been worked over by the system in the past year. The other five listed plaintiffs almost certainly will be fan favorites who would help rally public sentiment for the union. Try to guess who they'll be in the comments section below this article. Before the union files the lawsuit it must decertify the union. That was expected to happen Thursday, but the owners and players agreed to a 24-hour temporary extension of the collective bargaining agreement, which was supposed to expire at midnight.